We may owe much of what we are as humans to the actions of old viruses. According to a new study from the Stanford University School of Medicine, human cellular development appears to depend on the actions of genetic material left over from ancient viral infections. The researchers have identified several noncoding RNA molecules that enable a fertilized human egg to become all of the different cell types in the body. All of these molecules have viral origins and all are essential to growth; blocking their action stops cell development. Many cells, including fertilized eggs, are pluripotent. That is, they can develop into any cell or tissue type in the body. 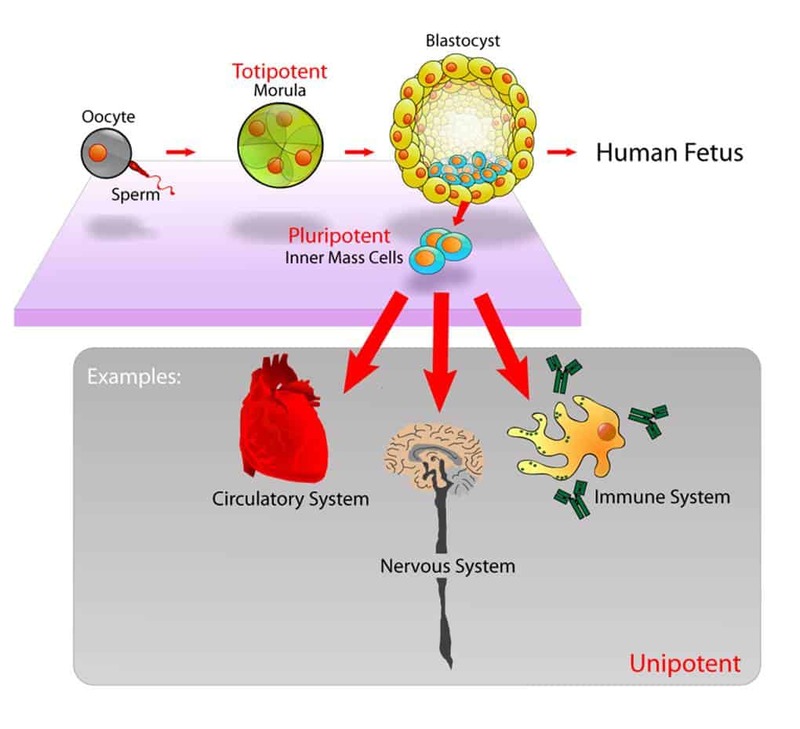 Scientists can even induce fully-developed human cells to become pluripotent by exposing them to the kinds of proteins found in early human embryos, although the molecular details of this process are not well understood. The Stanford team was interested in how pluripotency begins. Their work extends previous Stanford research showing that early human embryos contain what appear to be significant amounts of viral particles in the cells from ancient genetic material. “We’re starting to accumulate evidence that these viral sequences, which originally may have threatened the survival of our species, were co-opted by our genomes for their own benefit,” said Vittorio Sebastiano, PhD, assistant professor of obstetrics and gynecology. Their study focused on long-intergenic noncoding RNA molecules. Among other biological processes, lincRNAs are known to be involved in enabling cells to acquire pluripotency. Although they’re made from DNA, noncoding molecules don’t make proteins directly but influence the protein expression of other genes. The team employed RNA sequencing to identify which lincRNAs were most expressed in human embryonic stem cells. Most of these molecules contain highly similar and repetitive regions, however, which make them difficult to sequence accurately. The new study was aided by recently-developed and improved sequencing techniques. The Stanford researchers identified more than 2,000 previously unknown RNA sequences, and found that 146 were specifically expressed in embryonic stem cells. They then focused on the 23 most highly expressed sequences (HPAT1-23) and found that 13 of these were made up almost entirely of genetic material left behind after an ancient infection by the HER-V retrovirus. A retrovirus spreads by inserting its genetic material into the genome of an infected cell. The cell generates more viral proteins as part of its normal production processes which can then be assembled into a new viral particle that infects other cells. If the infected cell is a sperm or an egg, these retroviral sequences can be passed to future generations. Our genomes are littered, therefore, with sequences of age-old retroviral infections. Over time, however, evolutionary changes and mutations have depleted their capacity to produce functional proteins and these sequences are considered to be relatively inert. 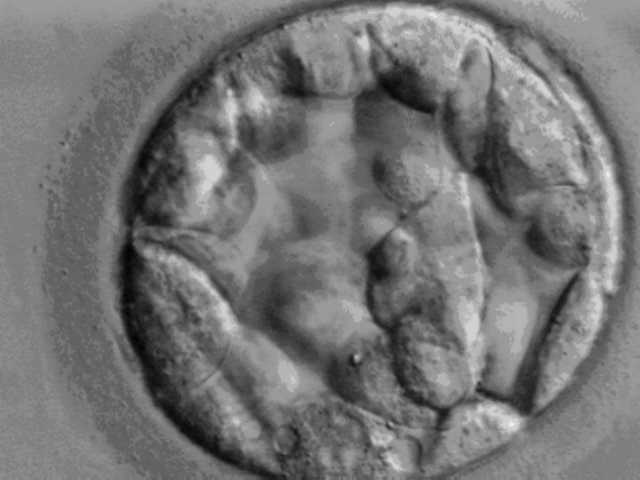 The team examined the expression of HPAT 1-23 sequences in the human blastocyst – the hollow cluster of cells that grow from the fertilized egg. They found that HPAT2, HPAT3 and HPAT5 were expressed only in the inner cell mass of the blastocyst, the part that becomes the developing fetus. They found that blocking this expression in one cell of a two-celled embryo stopped the affected cell from contributing to that inner mass. Subsequent work also showed that these three genes are also required for changing adult cells into pluripotent stem cells. So viral material isn’t just tolerated in our cells – it’s vital to how we become people. Lead authors for the research paper, published online this month in Nature Genetics, were Sebastiano, Durruthy-Durruthy, and Renee Reijo Pera, PhD, former professor of obstetrics and gynecology at Stanford and now on the faculty at Montana State University. Other Stanford authors were postdoctoral scholars Mark Wossidlo, PhD, Jonathan Davila, PhD, and Moritz Mall, PhD; research associate Diana Cepeda, PhD; former postdoctoral scholar Jun Cui, PhD; graduate student Edward Grow; Wing Wong, PhD, professor of statistics and health research; and Joanna Wysocka, PhD, professor of chemical and systems biology and of developmental biology.